First of all Team Qmaths is very thankful to all of you for you trust and support. We daily receive 100+ msgs regarding doubts and queries of SSC aspirants. Few days back we compiled some of the queries and filed an RTI. Today we got the response which we are sharing with you all. 1) Total 1425234 candidates appeared in CGL, 2016 (Tier-I) (Computer based online mode examination). 4) No information about Tier 1 result declaration. 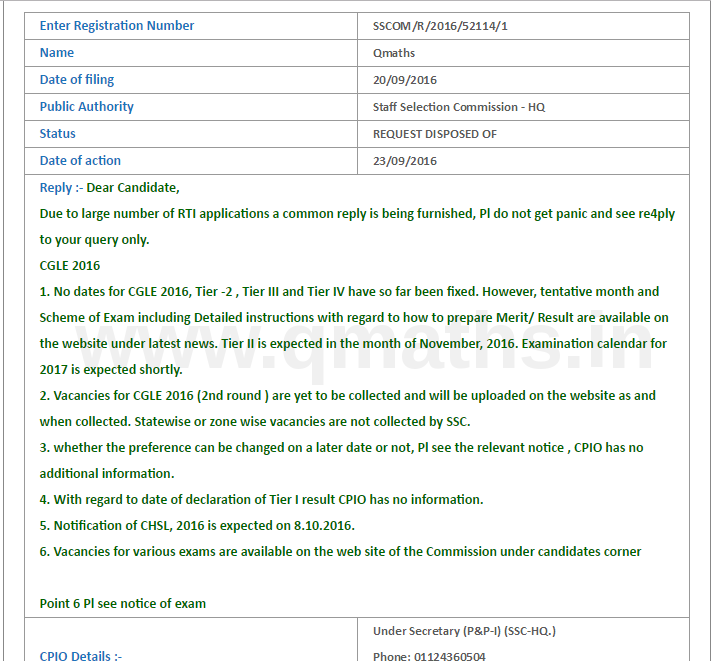 5) SSC CHSL 2016 Notification is expected on 08.10.2016. 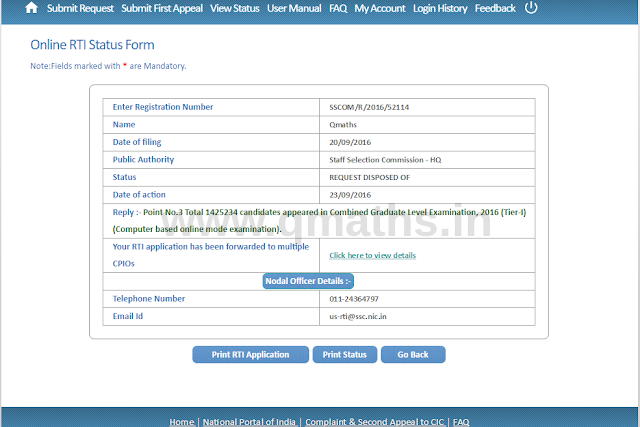 Reply 1 :- Point No.3 Total 1425234 candidates appeared in Combined Graduate Level Examination, 2016 (Tier-I) (Computer based online mode examination). Due to large number of RTI applications a common reply is being furnished, Pl do not get panic and see re4ply to your query only. 2. 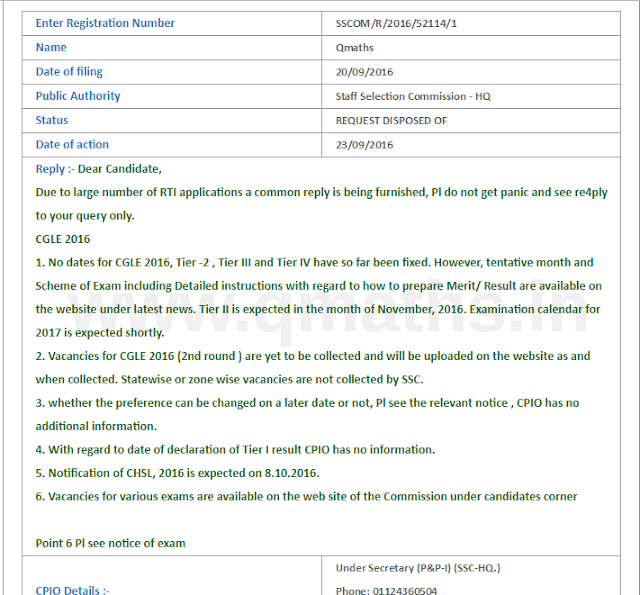 Vacancies for CGLE 2016 (2nd round ) are yet to be collected and will be uploaded on the website as and when collected. Statewise or zone wise vacancies are not collected by SSC. And the Most Important question "Whether SSC CGL 2016 Tier 1 is Qualifying or Not" will be answered on later post with proper justifications and evidences. Click Here for SSC CGL 2016 Tier 1 Cut-off Prediction with detailed analysis.